Betts 3-way air valve is a pneumatic plunger-style distributor valve designed to be used in conjunction with the Compact Delta I Lubricated and Non-lubricated Operators. 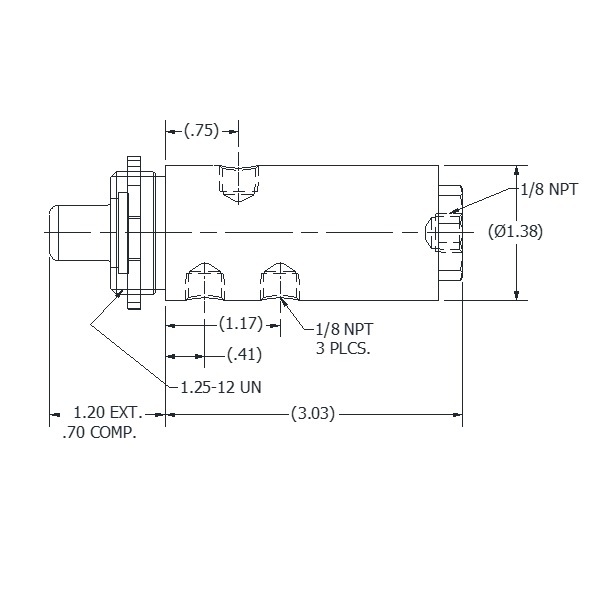 Its stout 1.25″ mounting boss with retaining nut and three 1/8″ NPT ports make it a versatile option for any situation in which an three-way valve is required. 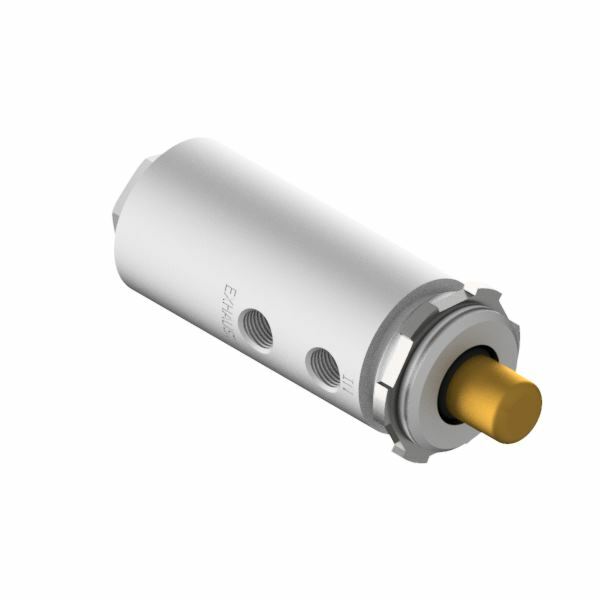 Aluminum and brass construction save on weight while providing strength and reliability, and fluorosilicone seals give the valve a large temperature range and resistance to a wide variety of chemicals. The valve is non-sparking and can be easily disassembled and repaired. See Mechanical Delta 1 Compact Operator Lubricated Operators and Mechanical Delta 1 Compact Non-Lubricated Operators for Operator details.